While the $9.99 price on Steam may be a bit high considering the relatively short story mode, Super Galaxy Squadron EX packs in a few extras to make it worth it. To sum it up, my original opinion of Super Galaxy Squadron hasn't changed at all. I still think that while it's a bit short, it's definitely a fun SHMUP title that deserves a look at. However, with the addition upgrades to the updated title, it just pushes Super Galaxy Squadron further up on the must have game list. A colourful vertical bullet hell that coasts along until finale where the difficulty spikes abruptly. Some decent ideas can be found here, but overall an average experience. 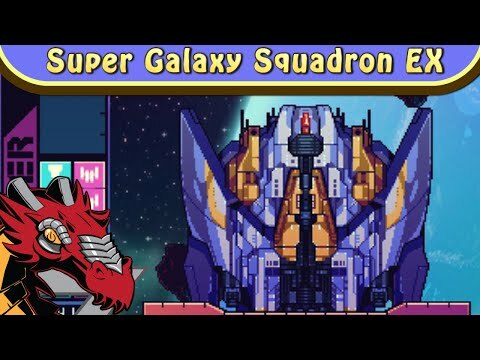 Super Galaxy Squadron EX succeeds most where it holds back. While in a couple places it holds back too much, namely in the short Arcade campaign and lack of the second Endless mode, I’m resistant to booting up the game again for another bout with the Tau-Ceti aliens on a higher, more punishing difficulty. A supremely addictive and visceral vertically scrolling shoot’em up. Its solid, yet short, 6 stage campaign and endless mode is extended with the choice between 14 unique ships. While difficult enough for the veterans, there is ample difficulty customization for newer players. Its energetic and exciting gameplay make this an easy recommendation.